The original Transformers toyline was well known for having many toys that looked nothing like their cartoon counterparts. And the minibot Brawn is probably one of the biggest offender in that regard. I wonder what was going through Hasbro’s creative head when they picked up the original Microman Microchange toy that would eventually become Brawn and make them think that this guy should be a really strong guy. Maybe it was the fact that he transformed into a rugged off road vehicle similar to a Toyota Landcruiser. Tough vehicle aside though, his robot was small, thin and lanky with really really scrawny and puny arms. They didn’t even have fingers, just upward facing hooks (ok maybe this looked like he was always doing curls?). Anyway the original six minibots were definitely a mixed bag. Of course leading the way you had Bumblebee who was the breakaway character because he was the most relatable of the bunch. Cliffjumper was entertaining in the sense that he was kinda delusional into thinking he was SO great and often bit off more than he could chew. 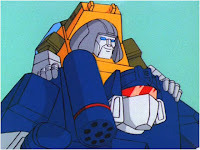 Gears and Huffer were the grump and the whiner respectively who both just wanted to go back home to Cybertron. Windcharger was...well kinda lost in the background. And then you had Brawn who was surprisingly, despite his small size one of the toughest and strongest members of the entire team. It was this little twist in his character that made him one of my instant favorites. Who wouldn’t like the little guy who could literally beat up all the bigger guys? Unfortunately he wasn’t very heavily featured in the original cartoon but when he was, it was usually quite memorable. Probably one of his most famous scenes that established him as the “strong guy” was when he helped defeat the Decepticons by throwing a charging Optimus Prime truck at Starscream in order to win the battle. Another was when his fellow minibot Cliffjumper was hit by the Decepticons and he flew back bouncing off Brawn’s chest without causing Brawn to even flinch. It’s awesome scenes like these that won me over. 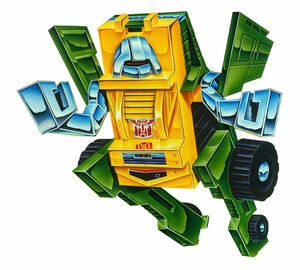 As a kid, I remember having a knock off version of the original Brawn toy and it really didn’t do much for me. Because he was so radically different from the cartoon character that I had grown to love, I longed for a proper Brawn toy. Unfortunately it would take quite a few years for us to finally get one. 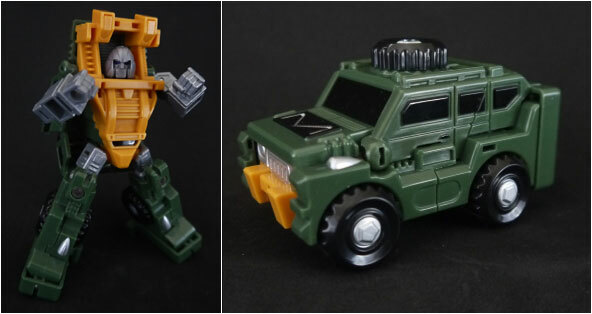 The first modern Brawn toy that I remember getting would be in 2009 when Hasbro released a Legends version of the guy. While this guy was definitely an improvement from the original toy, he was far from the Brawn I was hoping for. Since he was Legends scale, he was tiny and his articulation was definitely limited. A year later, Hasbro released a “movie version” of Brawn. Since he never actually came out in the movies, this figure was more of an homage to the original G1 character. Of course, like almost all movie characters, homage or not, this guy looked nothing like the minibot Brawn. He only sported a similar color scheme and vehicle mode. Regardless, I thought this toy design was really cool and has remained a favorite of mine to this day. 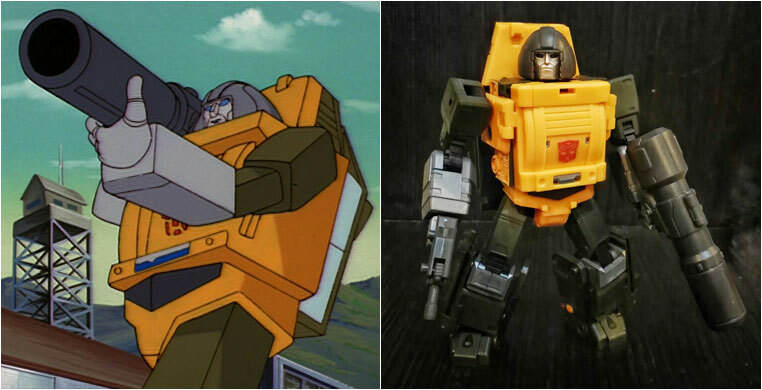 Then in 2012, 3rd party company iGear gave me hope with their shot at a proper Brawn called Hench. For what he was, he served the purpose of a default Brawn on my toyshelf. Unfortunately he had a rather frustrating transformation and his size, while good didn’t quite fit in with any of my collections. He was too “big” to fit in with my classic Transformers shelf and while he kinda was the right size for my Masterpiece Transformers, he looked too simple in design to fully fit in. Eventually, I decided to part ways with the guy. 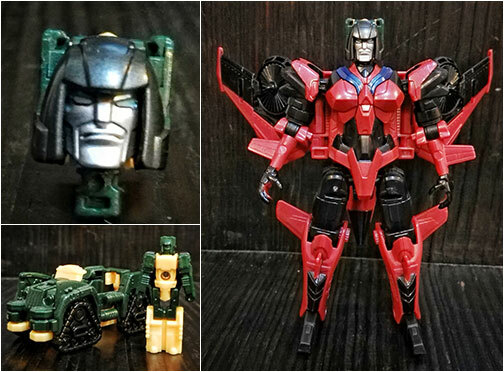 Then in 2016, Hasbro got everyone excited when they announced that they would be releasing a new Brawn in their new “Titans Return” toyline. 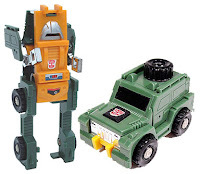 Unfortunately, much to the disappointment of Brawn fans everywhere, it would just be a “titan master”, meaning instead of an actual Brawn figure, all we got was a tiny robot that transformed into Brawn’s head, that could then be plugged into other Transformer characters. Luckily, Hasbro wasn’t quite done with Brawn. 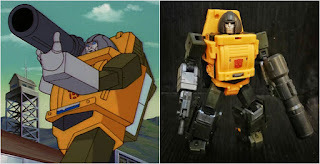 Less than a year later, they announced an even newer toy of Brawn, and this time they did it right by giving us a full figure. This newer version of Brawn was just the figure we needed as it was sized just right to fit in with our classics collection and had good enough articulation….AND he looked just like the cartoon! No more scrawny arms. So with a proper Brawn finally present on my Classics shelf, now all I needed a Masterpiece version. 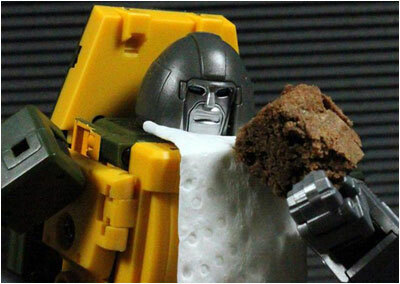 A few years back, 3rd party company Badcube released their version of an MP Brawn called….Brawny. At that time though I was still skeptical over non official MP products so I passed. A move I ended up regretting since when I finally got over my hesitation over 3rd party MP Transformers, Brawny had already sold out and was going for insane pieces on the secondary market. Unfortunately, while Brawn on my toy shelf has a happy ending, Brawn in the cartoon doesn't. 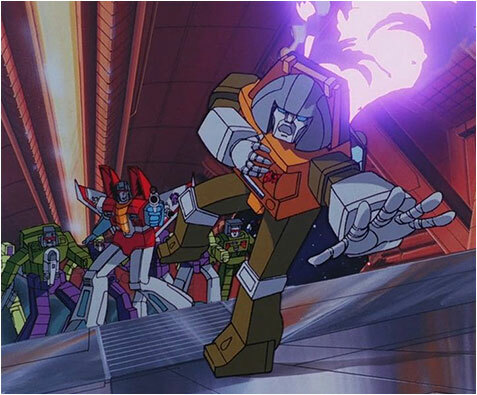 In the 1986 animated movie, Brawn is part of the ill fated crew of an Autobot shuttle headed to Earth. They are intercepted, boarded and slaughtered by the Decepticons. Brawn, the first to charge at them is the first to die...uncharacteristically falling from a measly single shot to the shoulder. 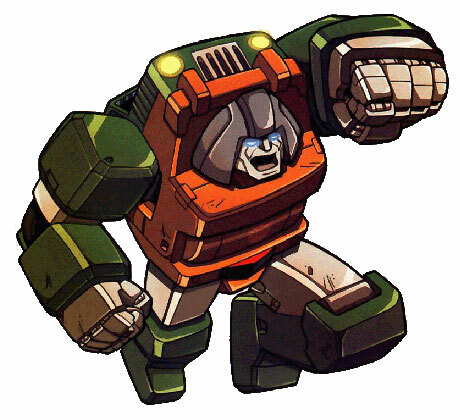 Because of the seemingly minor injury (he once survived a direct hit on the chest from Megatron in the cartoon), there are a lot of fans out there that believed that Brawn actually survived. This belief was even strengthened when he was spotted in a later cartoon episode after the movie. This was eventually attributed to an animation error. And to further cement his unfortunate demise, in the actual script of the 86 movie, it is stated that Brawn is actually sliced in half...which would be a more believable cause of death than a simple shot to the shoulder. Anyway, regardless of his inglorious demise in the movie, Brawn continues to live on, in all his plastic glory on my toy shelf, and that's good enough for me.